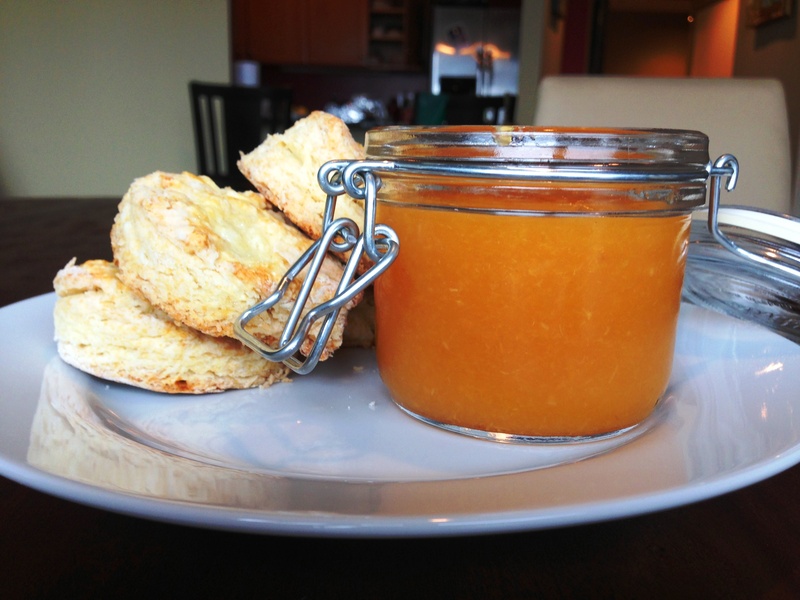 A little unclear to me why this is called Peach “Butter” instead of Peach “Jam” but I do feel like throwing butter into any title makes it that much more likely I’m going to be interested. One of my best friends lives in Georgia and visiting her is always a treat. I spend the majority of my trip balancing a consumption of good chats and southern food. 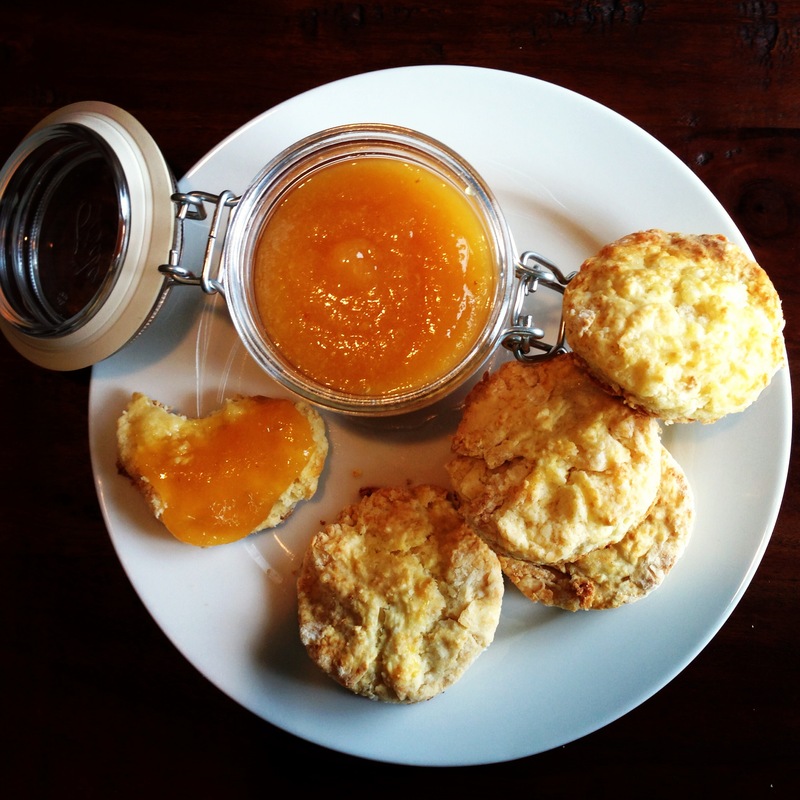 This peach butter comes together a little quicker than some of my other jam/jelly adventures- just enough time to bake off some buttermilk biscuits and prepare your mind for a quick trip to GA.
Cut a small “x” in the bottom of each peach. Dip into a pot of boiling water for 45 seconds (try to buy ripe peaches). Then dip the peaches into a bowl of cold water for one minute. Remove the peels from the water and take off their peels (the little “x” you made should help with this). If any fight back use a knife to remove the peel. Cut each peach into 8 equalish chunks. 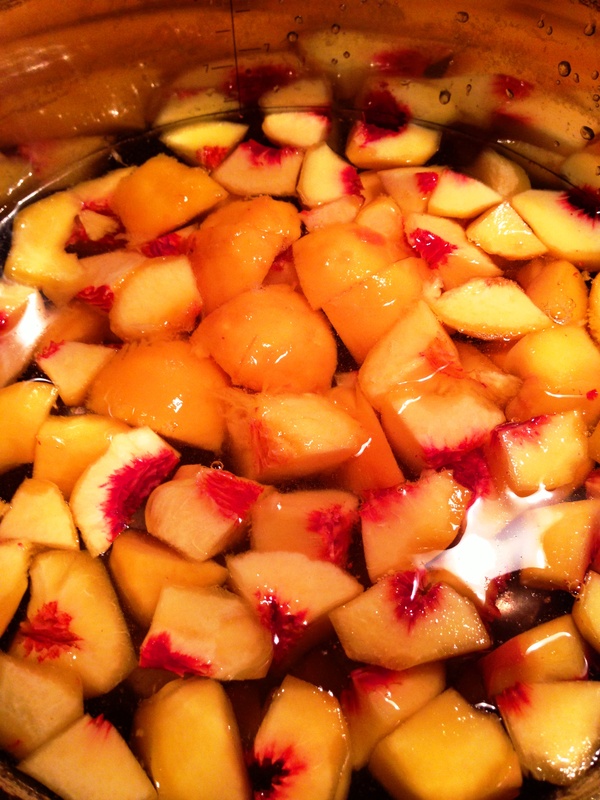 Place all peach chunks and the water in a large pot and bring to a boil. Reduce to a simmer for 20 minutes stirring occasionally. 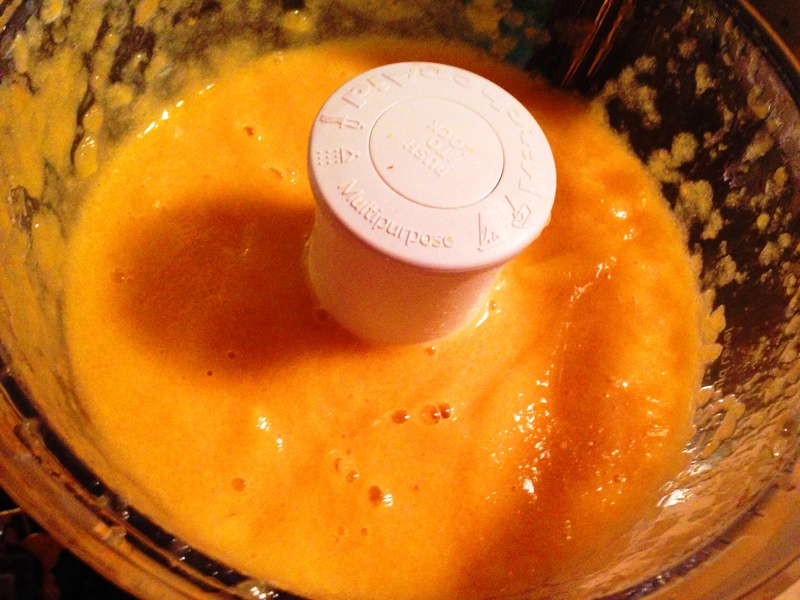 Drain peaches and puree in a food processor until as smooth as you can get it. 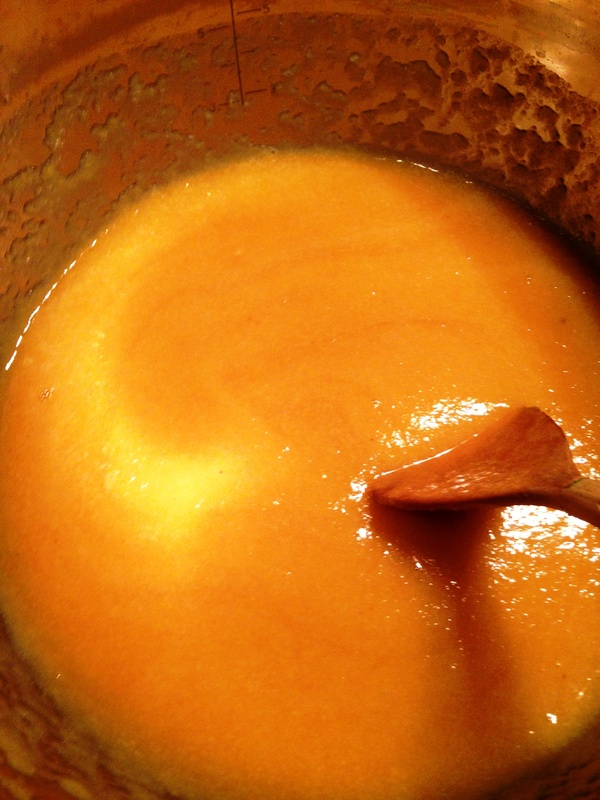 Pour pureed peaches back into the large pot and add the sugar and lemon juice. Bring to a strong simmer/gentle boil for 40 minutes. Stir occasionally. OMG this is looking like peach butter right? 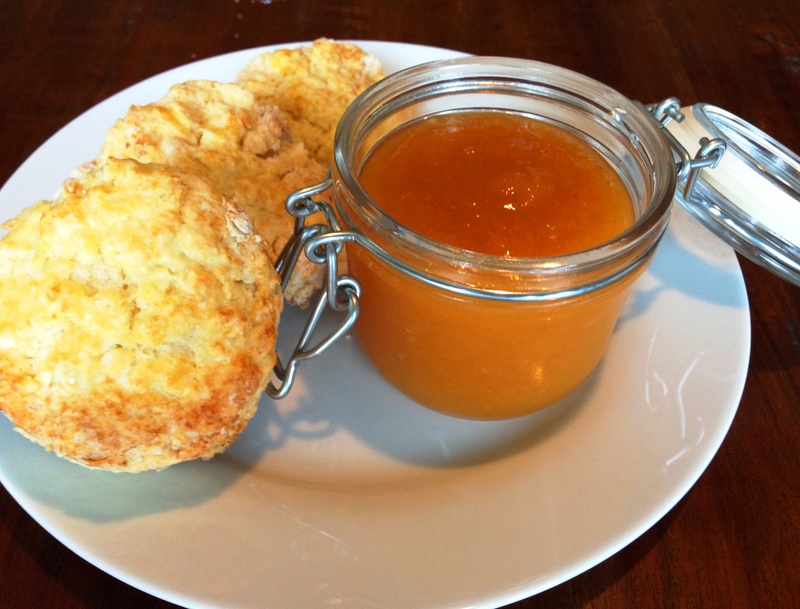 Let cool- I made some buttermilk biscuits as a vehicle for peach butter consumption but this would be great on yogurt, toast, pancakes, spoon, etc.